Hot on the heels of the return to print in the United States of Belgian writer George Simenon’s celebrated and multimillion-selling Inspector Maigret novels comes word that the UK television programmer ITV is about to produce two TV films featuring the character. British television has featured the character before, most notably in a series produced in 1992 and 1993 starring Michael Gambon. 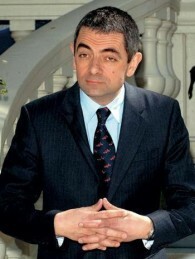 This series will have a rather different lead performer: sixty-year-old actor Rowan Atkinson, best known for his broadly comic characters Edmund Blackadder (and his descendants), Mr. Bean, and Johnny English. On the surface, those series are significantly more depressive than the Maigret books, but if they inspire a decent run of Maigret productions, they will have done some good beyond their undeniably high value as soporifics.